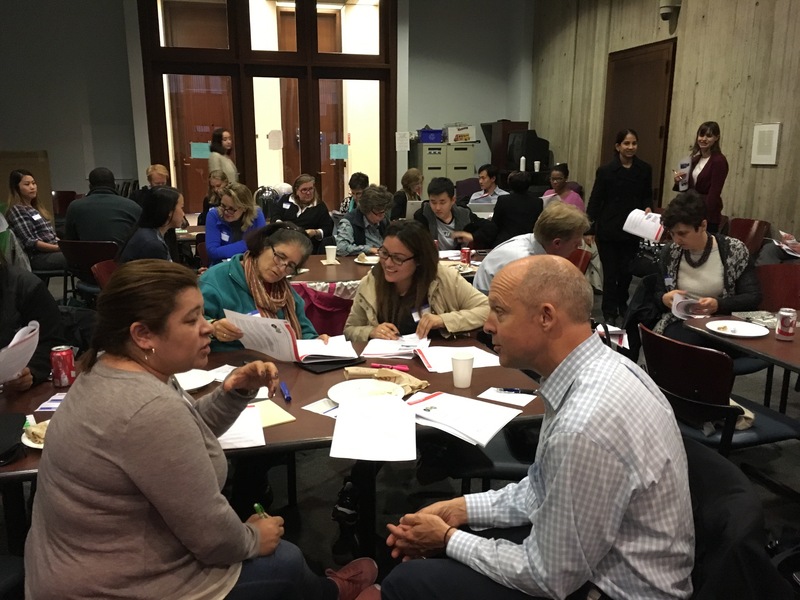 At the end of 2016, Climate Access worked with the City of Boston to design an ambassadors program that provides individuals with the tools and training needed to amplify the need to prepare for the impacts of climate change, and engage Bostonians in creating more a vibrant and resilient community. Drawing from best practices in climate communication and peer-based outreach campaigns, Climate Access developed a strategy to guide the creation of the ambassador program, a common messaging framework, outreach tools and a training session for ambassadors from a range of sectors. The following article was written by Magdalena Ayed, Executive Director of The Harborkeepers and a co-architect and participant of the program. Make no mistake: East Boston is an island. Accessible only by bridge, tunnel or ferry, Eastie actually comprises five different islands that were linked to the rest of Boston with landfill in the early 1800s. Separated from mainland Boston by Boston Harbor, bordered on one end by Chelsea Creek, and including the largest remaining saltmarsh in Boston, these densely-populated 4.7 square miles are home to more than 40,000 residents who have a unique relationship with water. And, like islanders all over the world, we already feel the punch of climate change acutely, and know the assault will only intensify with time. Mayor Walsh’s Climate Ready Boston (CRB) report, released last winter, identified East Boston as one area of the city most prone to coastal flooding due to climate change, with half of Eastie’s land area exposed to major flooding by 2070. Already, the Jeffries Point and Central Square areas are vulnerable, and East Boston’s likelihood of flooding is predicted to increase five-fold in the next 15 years. But while the City’s science-backed CRB report delivered serious cause for concern, it also came with a “Boston Strong” agenda. This isn’t about just battening down the hatches and holding on; instead, people in East Boston and across the city have started figuring out how to turn the urgent need for climate change preparation, resiliency and adaptation into opportunities to improve community services, boost economic development, increase access to open space, and unite diverse communities. This spring, the City of Boston, in collaboration with the Boston Green Ribbon Commission, launched a new phase of the CRB initiative called Climate Ready Boston Leaders. Over the course of two days, 70 people representing grassroots community groups, churches, housing advocates, educational institutions, and environmental and social justice organizations throughout Boston gathered to learn how to translate CRB findings on sea level rise, increased storms, and extreme heat and precipitation into relatable stories for their own audiences. Each new CRB “leader” left pledging to inform and engage at least 30 more people by September. CRB Leaders is an approach that resonates well in East Boston, where the population is diverse and peer-to-peer communication is an effective in delivering important information. My East Boston neighbors range from Moroccan mothers and El Salvadorian construction workers to white collar professionals who live in the Eddy. Training people who can leverage existing knowledge and experiences – and speak the language of their peers — makes lots of sense. We also try to use the evidence around us to engage people in what’s happening. Because the waterfront is our backyard, we’ve already noticed increased flooding, higher tides, and more intense summer heat. People want to know how things work and why things are changing; what the risks are and what they can do. We’re seeing interest – in tidal patterns, in the weather – and hearing people ask the right questions. At the same time, we must be cognizant of and speak about how climate change is intertwined – subtly or overtly – with other very real problems East Boston faces, including gun violence, displacement, and drugs. Climate resilience will only happen when the neighborhood engages on its own terms. Earlier this month, The Harborkeepers, a one-year-old non-profit I founded to promote coastal community resiliency, took the CRB data and messages to our community’s annual Maverick Unity Day. We set up a stormwater drain demonstration, explained how climate change is affecting stormwater management in East Boston, and discussed efforts to address it by City Hall and residents alike. We spoke to 80 people that day. Similar efforts by other trained CRB Leaders throughout Boston’s neighborhoods will reach hundreds more this summer and fall. Planned events range from a Climate Ready Brown Bag at the Boston Nature Center in Mattapan and a Caribbean Community Climate Ready event to a conference for medical residents at Boston Medical Center and to a workshop sponsored by the Boston Society of Architects. The idea is for each CRB Leader to tap into his or her own network to build an aware and resilient City. In East Boston, CRB conversations begun at Maverick Unity Day are continuing all summer as we weave climate resiliency awareness into existing activities, from farmers markets and to peace walks. This fall, the Mayor’s office will reconvene the diverse group of CRB Leaders from across the city to share their summer experiences and hone messages for further engagement in our communities, helping all of Boston’s neighborhoods to grow stronger and prosper in the face of climate change. Magdalena Ayed is executive director of The Harborkeepers.